Will US wade into Seoul-Tokyo military dispute? Washington has so far kept out the spat between its two closest allies in the Asia Pacific region. As the Seoul-Tokyo spat over Japanese warplanes’ flights over South Korean Navy ships continues, eyes have turned to the possible intervention of the US in the escalating dispute between its two core allies in Asia. While the US has been maintaining its silence on the issue, Harry Harris, the US ambassador to Korea, made an unannounced visit to the Ministry of National Defense to speak with Defense Minister Jeong Kyeong-doo on Monday. The Defense Ministry said the ambassador’s visit was previously planned as a New Year’s greeting, but added it could not reveal what was said, as it was a closed-door meeting. Still, speculation is high that the two leaders might have discussed pending issues, including the military dispute between Seoul and Tokyo, during the talk that lasted about 1 hour and 20 minutes. They may also have talked about negotiations over Seoul’s sharing of the costs of stationing US troops in Korea. The US ambassador also held a 15-minute meeting with Korea’s Foreign Minister Kang Kyung-wha later Monday. Lt. Gen. Jerry Martinez, commander of the US Forces Japan, also reportedly met with Japanese Defense Minister Iwaya Takeshi on Tuesday afternoon for a courtesy visit. He was expected to speak about pending issues. During a press conference earlier in the day, the Japanese minister had urged Korea to accept that its warplanes are flying according to international air regulations, according to a Japanese news report. Takeshi also said he will seek “dialogue” with Korea to build trust, and hinted at his willingness to hold a high-level meeting. Over a month has passed since the military spat began, when Tokyo accused Seoul’s naval warship of locking its weapons-targeting radar onto its warplane. 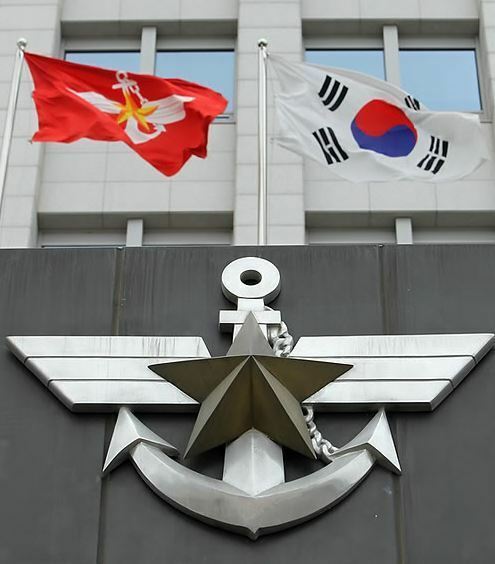 Rejecting the allegation, Seoul fired back and criticized Tokyo for flying its maritime patrol aircraft too closely to the South Korean warship. The two sides held a general-level meeting, but the dispute has continued with no signs of abating. Although the Japanese government has appeared to discuss the issue with Washington on several occasions, the US has not delivered its stance. The Defense Ministry here said it was exchanging data over the issue with the US, but added that the warplane dispute is a matter to be discussed with Japan. On Tuesday, the ministry also reiterated the need for Japan to provide “objective” and “scientific” evidence to resolve the issue and that the door for dialogue is always open. Meanwhile, Seoul’s Foreign Ministry officials in charge of US affairs will depart for Japan on Wednesday for a two-day trip to UN-flagged military bases there, the ministry said Tuesday. A similar conflict occurred between Japan and China in 2013, with Tokyo claiming a Chinese convoy aimed its fire radar at its naval vessel in the East China Sea. Tokyo said it had photographs and video clips as clear proof, but did not release them to the public at the time. “The US has its own priorities, with the (summit on) denuclearization with North Korea coming up, and I believe the Korea-Japan dispute did not appear to be so serious to (US leaders) at first,” said Moon Keun-sik, a retired Navy captain currently leading the Korea Defense Forum. Putting aside that the US President Donald Trump administration is different from his predecessor, both countries are allies to the US and it must have been more difficult for it to jump in for a resolution, Moon added. Korean lawmakers on Wednesday also raised their voices, labeling Japan’s actions “provocative.” Led by Rep. Ahn Gyu-back from the ruling Democratic Party of Korea, who chairs the parliamentary defense committee, 34 lawmakers across the aisle issued a resolution demanding the neighboring country apologize and promise to prevent similar incidents in the future.